Wood Stoves - Sweep&apos;s Luck - Chimney, Dryer Vent and Air Duct Cleaning company serving San Diego and Lake Arrowhead. Wood burning stoves’ durability matches their beauty and can be a primary or secondary heating appliance in just about any sized home. 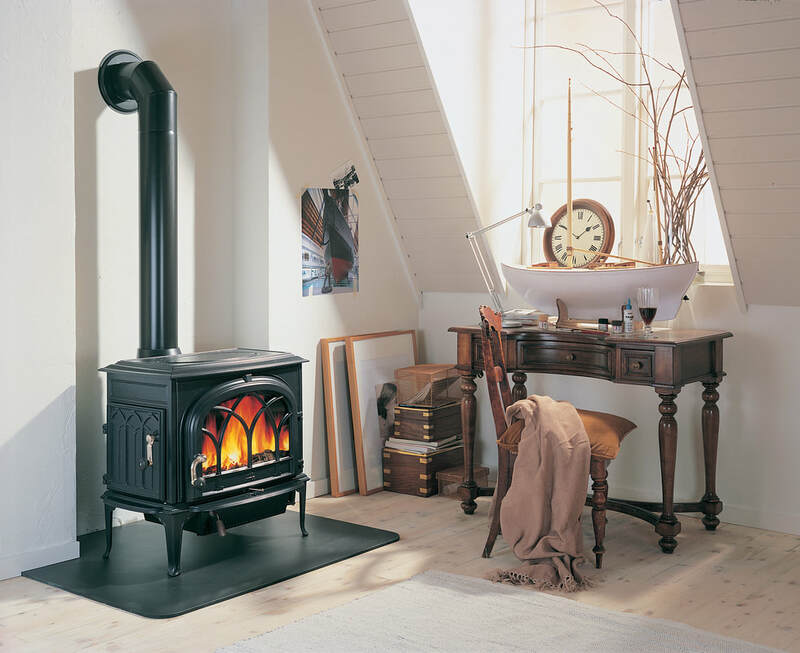 Wood burning cook stoves are an excellent and versatile choice for those wishing to optimize form and function within the home. Today’s wood burning stove is greatly improved over the models of the past, burning cleaner, longer and producing less smoke and ash. Wood stoves built by Jotul rate highly on online wood stove reviews.